There is something strangely exciting about the power to control a vehicle from a distance, especially if it twists and turns in the air on your command. A remote control helicopter allows a direct control among all other RC vehicles so that you can hover or soar or move your toy around the obstacles with unmatched perfection. There are various types of radio control helicopters and each of them varies in sizes, structure and most importantly mechanism. The coaxial helicopter is the recent development among these helicopters, and it makes use of simple direction control to free the user from torque induced yaw, which makes it a strong competitor among the smaller radio control helicopter models. Plus, most of the high-end RC helicopters come with six-channel controls and modern gyroscopes that make it easy to fly. It is noteworthy here that even the most straightforward variant of RC helicopter can be difficult to control initially but with consistent practice, you will be able to master the art of flying it and race with friends. There is a wide array of such helicopters available in the market so that you can easily opt for the one that’s best suited to your age, experience in playing with remote control helicopters, budget and most importantly the area where you will play with them. In case you are new to this hobby and willing to buy remote control helicopter, it is recommended to absorb as much as information as possible before you jump in to buy a model based on its looks. Rotors are one of the most important components of the helicopter that allow it to lift from the ground, and are available in three styles. 1. Single rotor construction – This is the simplest form of helicopter which is most commonly seen having a single spinning blade that allows you to cut through the air in a consistent circle formation. This type of RC helicopter is extremely nimble and allows a user to trick like inverted flights and is relatively cheaper. 2. Co-axial rotor – This mechanism is found in abundance in beginner copters where there are two rotors, which are stacked one above another, circulating in contradicting directions to proffer both lift as well as stability. These helicopters require no prior expertise to fly them, but they are extremely stable, meaning that it would be difficult to speed up and pull off flips. 3. Drones or quadcopters – Though most drones are equipped with a camera and are used for technological purposes, there are also a variety of RC helicopters that are based on the mechanism of the drones. They are both quick and very stable and allow easy flips, but the major disadvantage is that they do not appear like helicopters. It is winter in Sydney and the temperature continues to decline. Hence, it is important for homeowners to invest on furniture and other types of home furnishings that will make the space warm and cozy, especially during the evening. A good way to make your home’s interior warm and snug is by adding a solid or plantation shutter within your home. You can order from basswood shutters Sydney companies to install a shutter that not only keeps your home warm, but also helps maintain its privacy. But did you know that shutters offer more than the benefits stated above? There are more reasons that make it a smart investment for your home: Home Décor Accent Yes, you read that right – adding plantation shutters to your home can enhance its overall beauty. Shutters from basswood shutters Sydney companies are constructed with louvered panels. Hence, they can be attached to the side or outside of a window or door. You can choose several types of materials to be used in constructing the shutter to suit that of your home’s existing interior décor. The most commonly used materials, however, are hardwood or painted wood. If you choose to install one in your bathroom, you can also choose waterproof materials. In general, there are three types of shutters which you can buy: tier on tier, café style and full height shutters. The café style shutters are inspired by Parisian cafes that use them to provide intimacy for their guests without necessarily blocking natural light. Therefore, it served to offer individual space for the guests within the café. Meanwhile, the tier on tier shutters are made up of two sections that cover the entire window aperture. This is a convenient option, just in case you want to open one of the panels while keeping the other closed. Lastly, the full height shutters are self-explanatory. It offers maximum privacy while allowing natural light to make its way into a room. More Efficient Heating System The cold weather outside (especially during winter) can significantly affect the indoor temperature of your home. The frost, rain or winter breeze can make your home interior get cold quickly. If you had to rely on your home’s heating system, then it could lead to an increase in your household electric bills. The installation of shutters can protect your home against the cold and therefore contribute to insulating the interior of your home. Keep Your Home Private Lastly, privacy is the most important aspect within your home. The use of shutters can provide added privacy and security. When it is dark outside and you have turned the lights on inside of your house, it is easier for people to see what is inside your home. But with shutters, it will serve as barrier and provide the privacy you need. If you are looking for a trusted and well reputed basswood shutters Sydney company, visit http://dazurshutters.com.au/. D’Azur is committed to offering quality and satisfaction to their clients. In fact, they are said to be the best source for shutters and blinds in all of Sydney, Australia. Whether your kitchen is huge or small, it is one special place of the home. It is the place where meals are made, fueling the bodies, minds and spirits of your loved ones. Some say that while life might be made in the room, it is unquestionably lived in the kitchen. That is why most home improvements usually start in the kichen. If you are among the many homeowners who plan on doing Sydney kitchen renovations, remember to hire experts in kitchen renovations Sydney has today to ensure quality work. Dinners are get-togethers, and even little kitchens ought to be something beyond a work environment. You’re not running an eatery, and the kitchen ought to be a lot of a showplace of style and effectiveness as some other room in the house. Lounge areas have a tendency to be more formal, yet when it comes to hosting dinners for family and friends, there is no other room in the house that has the closeness and familiarity than the kitchen. The contemporary kitchen is a great deal more when it comes to function. Kitchens, particularly custom kitchens, now house a few zones in a single room. There is your kitchen area where you can prepare food, dining area right within your kitchen and now, frequently in bigger kitchens, extra seating is added so the entire family can cook, work and unwind together. New homes are grasping a more easygoing way of life and barring formal living and lounge areas — making kitchens the place to do more than just eating. The kitchen is consistently advancing. Architects, builders, designers, and brokers all recognise this need as well as kitchen manufacturers. The design and functionality of kitchens are ever changing amid the modern busy workers and varying lifestyles. You can see a lot of improvement in kitchen appliances almost every week. There are also more new products, fresh concepts and trendy designs rolling out into the market every year. Custom kitchen renovations in Sydney enhance appearance as well as plays a major part in enhancing the tasteful interest of your home. However, it is not as simple as one would think since it includes imagination and appropriate planning. If there’s a room that is most utilized as a part of your home, it assuredly is your kitchen which is the reason why keeping it spotless and flawless is a requirement so as to avoid bugs and diseases. When you are after cheap kitchen renovations Sydney side, you can contact trusted experts or visit http://www.wedokitchens.com.au for more details. Faux Wood Blinds – Faux wood blinds in Central Coast are the easiest to clean since they are sturdy and does not easily warp. You can tidy them similarly as you do wooden blinds, however, you can likewise spot clean them using a mild cleanser with warm water on a damp material. Fabric Vertical Blinds – Dust frequently with a vacuum brush to keep away from dirt build up. Spot clean with a clear detergent to prevent staining before you blot them dry. While immersing them in water is not advisable, check the manufacturer’s recommendation to find out if having them dry cleaned is possible. Wooden Blinds – Excess moisture is wood’s most noticeably awful enemy, so abstain from getting your wooden blinds wet. To tidy them, use a clean, delicate fabric, a feather duster or a vacuum brush. To put more life into the wood, you can use a cleaner made particularly for wood, for example, lemon oil. Make sure to read the manufacturer’s guidelines is important when it comes to wooden blinds, so verify what items the company prescribes before you using. Vinyl and Aluminum Blinds – Dust regularly and spot clean stains with gentle cleanser using warm water and then smudge dry. Tilt the slats up and down to tidy the two surfaces, moving along each slat. Try not to press too hard so you don’t break them. Know that cleaning your blinds can be essential for aesthetic reasons, as well as for your wellbeing. If your window blinds go sufficiently long without a decent cleaning, dust can settle on the braces and irritate your lungs and sinuses. This can be uncomfortable especially if you have severe allergies and asthma. Keeping dust away is the secret to cleaning your blinds so make sure to clean them regularly. If you want to find blinds Central Coast has to offer, you may ask your family or friends or visithttp://www.centralcoastblindsandshutters.com.au/ for more details. Other than increasing the value of your property, portable granny flats NSW contractors offer today also serve as additional living space if you have visitors over the weekend. You can likewise take a look at different purposes for building portable granny flats in NSW area to give you more thought if you plan to construct one on your property. Before you contract builders of portable granny flats NSW wide, make sure to decide your reason or reasons why you need to build one. Is it for your friends and family, for your own space or to fill in as an investment property? You will find portable granny flats NSW has today in varying designs as well as different materials. If you are keen on building NSW portable granny flats on your property, take a look at these following advantages to help you make up your mind. Granny Flats Can be Rented Out Do you live in a huge square of land and might want to make some additional money? Subdivide the property and build a granny flat on the unused land and lease it out. Luckily there are such a large number of individuals hunting down decent granny flats in NSW, which implies that your granny flat won’t stay vacant at any given time. Speedy Construction Construction of any house is never a simple thing as far as cash and money are concerned. Depending upon the kind of the portable home you expect to build, you would spend a while at the construction stage. Most portable granny flats NSW wide take a quick sequential construction system. This implies a portable home can be built and delivered to the designated areas in a few days. It would require just a little investment before you can make the most of your new portable granny flat. Increases Value to Your Property Although the basic role of building or purchasing granny flat is to get an extra salary, the value they add to the current property is likewise essential. Much of the time, granny flats increase the value of the current property as long as local council regulations are observed. The vast majority lean toward purchasing portable granny flat NSW has today with additional independent living space since it is the thing that most occupants and flat buyers find commendable. Additional Accommodation Building a portable granny flat is a less expensive method for including space into your home instead of having a makeover. If your family is extending, the granny flat can be utilized by the high school or grown-up kids. When they move out, you can lease the space and make some additional money. Portable granny flats NSW has today have also found great use among retirees. Are your maturing parents excessively old, making it impossible to live without anyone else? Taking them to an aged care home is a conceivable choice but not when you can deal with them yourself. You can take them in yet ensure that their freedom is maintained. A granny flat with a functional living area, restroom and kitchen is the perfect solution. They will unquestionably be happy to have their home near friends and family. Security. The clearest advantage of having automatic gates is increased security. Everybody needs to feel protected and secure in their own home, and automatic gates demonstrate an ideal approach to help you feel secure. Automatic Gates Melbourne shops offer today allow you to install cameras, with the goal that you can precisely see who needs to enter your property. You can also add and voice communications systems, so you can decide whether or not you will give access to any visitors. Privacy. Privacy is essential for each family. Picking a reasonable garage entryway for your property is an ideal approach to protect you and your family’s privacy from the outsiders. With an automatic gate, keeping your property private and away from watchful eyes will now be easy. Convenience. There is nothing all the more frustrating than having to get out of your car just to close the gate and get in again before driving off. Having a gate transmitter or using GSM systems means opening and shutting your carport can be as simple as a click of a button, or a call from your cell phone! Safety. Security for your kids, as well as pets, is another key advantage of having Automatic Gates Melbourne experts recommend on your property. For instance, having your kids play on a front grass or yard would never again be a distressing event, as you would have the serenity that your automatic gate would keep them from wandering outside. The same goes for pets. They can enjoy more freedom, yet stay protected and sound inside the limits of your property. Besides, an automatic gate helps keep any undesirable or dangerous creatures out of your property. Introducing a good quality model from among Melbourne automatic gates for your carport is a savvy arrangement that can spare you cash. You will have better odds of getting a rebate from your insurance agency as they will see the additional assurance you introduced at your home. Besides, it will likewise expand the estimation of your home and will rapidly get potential buyers’ eyes when your home is available for sale. Some surveys highlight, for example, that an automatic gate can add five percent to the total value of a home. You can buy Automatic Gates Melbourne from trusted dealers or visit http://www.themotorisedgatecompany.com.au/ for more details. You can never compare the luxurious feeling of having a soft carpet under your feet. Buying carpets though is not something that everyone does and some may only visit a carpet store a few times in their lifetimes. That is why it is so easy for buyers to get confused on the carpet buying experience and may eventually end up with a carpet that does not match their lifestyle. A quality carpet easily transforms your floor from drab to fab by softening the look of your room. It also absorbs noise and creates a cozy and comfortable environment. However, before you visit any carpet store in Melbourne area, you may want to look at these carpet-buying guide below to ensure you are selecting the right type of carpet. Understand how carpet colour functions. Darker hues help make a space seem cosier while lighter hues make it seem bigger. A well-known alternative is to pick a carpet that blends two hues in a subtle, neutral mix. Consider picking a more affordable fibre for your carpet. Polyester is an extraordinary middle-priced choice. It has been around for quite a while, and, on account of innovations, is tougher than it ever was. Polyester is also stain-resistant and comes in a wide cluster of styles and hues. A major in factor to polyester is that you can get significantly more lively hues than you can in nylon, because of the way the fibre accepts the dyes. Look for In-stock carpets. You will have the capacity to spare some cash by purchasing a carpet that a dealer already has. Clearly, this implies you have a more limited choice as far as the styles and hues are displayed in a carpet store, but if you can find a style that you like that is already in stock, you will save more. Pick the Perfect Padding. Try not to hold back on carpet padding to spare a couple of dollars. Similarly, as a building needs a strong establishment, carpeting depends on a layer of padding for support, quality and a touch of additional cushioning. You can’t see the cushioning, yet you’ll certainly recognize the additional wear and tear on your new cover if you pick an inadequate padding material. Select all-in-one carpet. Another option to purchasing the carpet and underpad independently is to purchase a carpet that has the pad already attached. These carpets are extremely cost-effective and installing it will also be easier compared to installing them separately. Check the ratings. There is a rating systems standard to all Australian carpets. So when you visit a carpet store, look for a carpet that has ‘extra heavy duty grade’ residential rating on it. The same goes for carpets meant for stairs. Look for a ‘stairs rating’ to ensure that you will have quality and durable carpets. It is essential to deliberately consider your way of life when choosing carpets. The lifestyle you lead and the conditions of your family will impact your carpet buying decision. If you live in generally sunnier atmospheres, you will be more worried about fade resistance when you visit a carpet store Melbourne wide. If you live in damper climates, find Carpet store that offers synthetic carpet fibres less inclined to mould and mildew. It is common for Australians to stay outdoors especially in a good weather. However, the harsh rays of the sun can be a major deterrent. But staying outdoors need not be about soaking in the sun. Good thing installing patio awnings can be a simple solution so you can enjoy the outdoors without worrying about getting sunburns. You can relax in a shady spot, protected from harsh UV rays if awnings or canopies are installed over your patios or decks. Properly installed patio awnings Sydney shops offer today help you enjoy the outdoors without having to worry about the harmful effects of the sun. You’ve seen those patio awnings throughout your neighbourhood. You can enjoy the same comfort when you also install your very own patio awnings Sydney shops have on sale today. Below are top reasons why you should take advantage of patio awnings Sydney shops have to offer: Lower Energy Bills Awnings can greatly reduce heat gain by up to 65 percent especially if your windows are facing south or where the sun shines the brightest during the day. Your utilily bills will spike higher on summer months when the sun is at its peak. Installing awnings on your windows or patios will help lower the internal temperature of your home by up to 15 degrees. If your patios have sliding glass doors, installing patio awnings HI-CRAFT stores offer will significantly reduce the amount of heat the glass doors create. Provide Shelter As stated above, the main advantage of having patio awnings or canopies is the protection they offer from unpredictable weather. No need to worry if a drizzle would postpone your outdoor barbecue party or if too much sun can burn your skin. Your patio awnings can shelter you from either the sun or rain. Expand Your Living Space Adding a canopy or awning for your patio or deck can expand your living space. You can entertain outdoors whenever you have guests coming over for an afternoon visit. Your kids and pets can even lounge outside in the shade, keeping them from direct sunlight. Improve Your Home’s Curb Appeal Regardless of whether you’re thinking about selling your home or you’re basically having visitors over, creating the first impression is important. Taking advantage of Sydney patio awnings available in the market today will greatly improve your home’s curb appeal. You can select from various awning types depending on your preference and the theme you want to have for your home. Patio awnings in Sydney are probably one of the most affordable home improvements you can add to your home. No need to spend a lot of money to transform your patio or decks. You can even install them on your windows for added sun protection. Not only will they make your home more attractive, you will also save on energy bills since your AC units will not need to work overtime just to give you comfort during the summer months. As a homeowner in Australia, consider having awnings installed in your outdoor spaces. The best patio awnings Sydney wide help define your outdoor space to make your home more attractive. You can also visit their website at http://hicraft.com.au/. Clean the refrigerator’s condenser coils. The fridge’s condenser coils, which are commonly situated under or behind the unit, gather debris, dust and pet hair after some time. They are the most critical maintenance inside situated on a fridge. A filthy condenser makes it troublesome for the fridge to transfer the heat from within to the outside environment. This makes the unit run longer than usual, and the compressor to work considerably hotter than ordinary. This can harm the compressor and related electrical parts. Clean the condenser fan. Something else you can do to avoid refrigerator repairs in Melbourne is to clean the condenser fans all the time. Ordinarily, dust particles, papers, dirt and so on may get stuck to the fan and may cause it to stop working. You can take a fabric and some water to do the cleaning. Clear and clean the freezer vents. It is imperative to clear the freezer vents from time to time too. These vents are essentially important since they allow air flow in the freezer. However, if they are not cleared every now and then, they can get blocked and this can cause issues. Additionally, if you clear them frequently, you will save on energy consumption as well as cash. Don’t overload your refrigerator. Refrigerators are made to be sturdy compared to other appliances, for example, A/C units and dishwashers require little support. Yet, after some time, refrigerators tend to wear out on. They usually last around 12 to 15 years, yet they may develop issues with water and ice dispensers, engines or control boards. The temperature controls must be checked appropriately. It is critical to keep the temperature controls to the middle settings. The best setting for your refrigerator is between 38 degrees F and 42 degrees F. For the freezer, it should be between of 0 and 10 degrees Farenheit. This will not just keep the temperatures perfect yet will also expand the life of your appliance. Do not overlook the door gasket. Another helpful tip to dodge any Melbourne refrigerator repairs is to clean the door gasket once in a while. Gasket repair bills can be quite expensive. However this use can be avoided as long as you do not overlook its maintenance. Lots of sticky things can adhere to the gasket and must be wiped off to keep it from tearing. Keeping it absolutely clean will help keep its seal tight and keep the inside cool. Avoiding refrigerator repairs Melbourne experts offer will now be possible if you follow these simple tips to keep your refrigerators cooler. It may even help extend its life longer with regular maintenance. However, if repairs are really needed, you might want to call experts in cheap refrigerator repairs Melbourne wide to fix the problems for you. How far would you go to protect your household from burglary? The answer is you don’t really have to. With automatic gates, a homeowner of a large property like you will have no problems with keeping the thieves away. Gated communities may be new to the UK, but in major cities around the globe like Cape Town and Manila, these compounds have benefited from automatic gates. These automated gates help secure these large gated areas from robberies, where the opening and closing point usually takes a lot of effort. Also, another example is that in a large property in Sheffield occupied by a single household, it can be quite a hassle to open the gate, park the car, and then close the gate. If they bought the services of automatic gates Sheffield companies offer these days, they don’t really need to get out of the car just to open and close the gate. With automatic gates’ remote-controlled systems, the danger of unauthorised entry can be fended off. Going back to gated communities, most of them are usually supervised by security personnel. However, interestingly, surveys have discovered that most of the residents in these communities are more paranoid with robberies compared with those who are not living inside a gated community. How can the doubting homeowners get assurance from being secured by automatic gates? Improved security. Taking Derby homeowners as an example, the electric gates Derby security companies sell prevent intrusion with their design. This is the primary reason why individuals are picking mechanized gates over the standard gates. They are proven to offer great determent to hoodlums, on the grounds that these gates introduce fear in the majority of the offenders. Likewise, working around such complex systems that are difficult to split to into a property strikes fear to their heads. They offer accommodation. The accommodation that automatic gates offer is not like any other. With traditional gates, entrance or exit is a hassle; but with these gates, everything should be possible exactly at the touch of a button and you won’t need to move an inch. They, in this way, offer comfort and are efficient too. They are reasonable. In the course of these past years, the cost of automatic gate installations has essentially lessened. While the cost of installation is high in contrast with the ordinary gates, the distinction between their prices is not too unlikely. Likewise, when you consider the insurance premium deals, these additionally get lessened as the insurance companies see these gates as an extraordinary method for guarding the house. This, along these lines, implies that over the life of the automatic gate, cost funds will be justified regardless of the pricey expense of installation. While security may be the top reason why homeowners today need automated gates, there are more benefits that people are realizing after installing an automated gate. Learn more by visiting the likes of http://www.themotorisedgatecompany.com.au/. Any office move is efficient if it’s planned well in advance. The reason most office owners prefer weekend moves is to ensure everything is up and running on Monday morning. Don’t plan an office move without a goal. The more time you spend in planning and preparation, the lesser time the moving process would take. Ensure you have delegated most of the moving duties to your employees and team members in terms of setting up things in the new office. This ensures the office removalists Gold Coast has today take a shorter time to move your office belongings and it also reduces the moving cost. Tracking some of the equipment and items they used to have in their previous office may not be possible without an inventory. For this reason, an inventory becomes an important tracking tool. Depending on the nature of the office move, some office items and equipment may get lost along the way. However, you should create a good inventory, which the IT personnel together with the hired office removalists in Gold Coast could use to confirm every office item is there. It doesn’t mean that everything in your previous office would be useful in your new office. In fact, the office items you haven’t used in your previous office for a long time shouldn’t occupy space in your new office. Dispose of what you don’t need to make the moving process smooth and cheaper. This should happen before the Gold Coast office removalists arrive. You could perhaps sell them to a company that recycles old office items or you could even donate them to one of the non-profit organizations. By the time you are moving, all the desks should be empty if you won’t move with them. Clear everything in the supply cabinets and properly pack every breakable item. You should also clear all the file cabinets and properly label the chair pads and desk pads. For those items you won’t move with, ensure you have place “Do Not Move” tags on them. The office removalists Gold Coast has today would know what you mean by this. Drain all liquids, disconnect computers and office machines, take down wall items and get a set of spare keys with you. Although moving to a new office may look a daunting task, lack of proper planning complicates it in most incidences. However, if it’s well planned, it won’t consume much of your time, energy and money. The office moving process doesn’t need to be expensive to be successful. You could still hire some of the cheap office removalists in Gold Coast and get the job competently done. Buying your home was probably one of the biggest milestones in your life. It’s just unfortunate to think that its value slowly depreciates over time. But you can turn this the other way around to make it better for you in the end or when you choose to sell. How? The best way is to improve your home through simple house renovation projects, such as wall repaint, sliding gate installation, or landscape change. When you upgrade your home, it doesn’t mean that you redo everything. Those examples above are just a few of the simple things that you can do to increase its value without breaking your budget. These changes in your home can even make your life more comfortable. Check out the ideas below and see which one you can do with your property. While not everyone is probably into cooking, a majority of homeowners and home hunters are quickly smitten with great kitchens. This area can easily be taken for granted seeing that not everyone will see it often. However, doing some big changes in the kitchen will most definitely bring property value to a higher rate. See that old countertop? Change it to granite or marble and give it a big upgrade. Place design tiles as backsplashes or change the taps you installed for newer or automated ones. A new stain on your cabinets will be a stunner as well. Don’t get left behind by the trend. Turn your house into a smart home and live conveniently. From a sliding gate to automated window blinds, there are a lot of appliance and technology that you can add to your home. You can search for your own electric gate opener kit from suppliers like kits4gates.co.uk for any DIY installation and repair. The value of any home can significantly go up with modern features. What gadgets or techs can you use for your place? You can set up a house security alarm with CCTV monitoring, for starters. You can also install automated lights and window panes. There are many smart objects that can be added to make your nest updated and trendy. When you see your house from the outside, do you find it very appealing? Does it immediately catch your attention? Kerb appeal is very important when trying to keep your house value on top. No one likes to look through a house that turns your smile upside down with its appearance. Trim outdoor plants that are blocking the view, mow your lawn, and make sure that everything is clean. Do you have a gate or a fence built? Make sure that it looks in good working condition and not broken. For automatic gates, keep sliding gate kits or double underground gate kits handy in case you need to fix it on your own. Make your house a better place to live in by adding changes to it occasionally. Focus on one room at a time to make sure that you complete every renovation. From installing a sliding gate from http://www.kits4gates.co.uk/ to changing your light fixtures, you can be a resourceful and creative as you can be. Remodel your home and benefit from its increased value in the future. It’s not a myth that today’s era is the age of excess. Such belief is evident in Noosa’s living spaces’ storage space shortage. Sure, people can do away with this problem by garage sales and donations, but sometimes, those don’t help especially if space isn’t designed in a malleable way. And by that, it means most spaces these days are not built to be flexible enough to handle excessive loads. That’s why some people resort to home renovations Noosa has today. It’s not wise to move to a bigger house, obviously. This is even truer when you’re living in urban areas like Sunshine Coast. But this also applies to rural communities, as well. When space is a problem, you will have to lean on better and wiser methods to alleviate the problem. One of these methods is, for example, hiring builders for home renovations Noosa dwellings need. With the expertise of Noosa home renovations builders, storage space optimisation in your living space is just a few steps away. As for your part, you must also think rationally to reach your own solutions. Couple that with the aid of best home renovations Noosa has these days, you can even revamp your space’s original plan to achieve a spacious area without tainting or losing your preferred look. One way to solve limited space problems through home renovations in Noosa is to have an attic or loft. Building another level in your house is definitely easier than you think, but if you want an expert’s touch, you may contact builders/renovators like Edward Murphy, a Sunshine Coast builder through his website, http://foundationhomes.com.au/. Before you proceed to get home renovations Noosa builders can help you with, make sure to google for some attic renovation ideas that you think are suitable for your attic reno plan. A finished loft measures fundamentally more than boxes of off-season duds. Contract renovators to inspect your home’s establishment. Also, ensure that they can convey the extra load. At any rate, you may need to fortify the second story room’s floor joists, which are as often as possible excessively shallow or dispersed too far separated for the activity. When you are influencing an extra space in your home, stockpiling to will likewise strike a chord. You can choose some space in your attic for cupboards. You can likewise choose drifting racks on the dividers to give it a charming appealing. You can also utilise a recessed knee wall storage room. Border drawers, cupboards, and cubbies are also advantageous to spare space. Lighting is an imperative factor with regards to interior stylistic layouts. You can layer your lighting to make diverse impacts. You can fit spotlights in different ways. You can even have recessed lighting for more layered impacts. Include a bedside divider light and fit dimmer switches for making a climate. Before you begin on a storage room change, you should recollect a couple of standards and tips. In spite of the fact that you can make an outline without anyone else, experts still do it better when it comes to arranging and execution. Contacting specialists in remodeling interiors will ensure your upper room will be legitimately situated. In case you’re developing a staircase sans preparation, consider a bend outline. It needs more space than a straight run, yet its impression is more squarish than direct, so it will frequently fit in spaces where a straight run can’t go. Just guarantee the arrival is adequately vast to move furniture upstairs. If you have a current staircase, you need to design interfacing ventures toward your proposed storage room space. If you need your loft to look roomy than it previously was, make a point to pick a lightly shaded palette. Painting your roofs and slanted dividers in a similar shade will influence it to seem greater. You can decide on warm whites like ivory or cream, so your upper room won’t resemble a hospital suite. Consider the shading plan so your storage room should look current and not dated. With regards to making your loft space useful, having a couch bed will extraordinarily spare space. If you have no related knowledge in home redesigning, you can converse with remodeling experts in Sunshine Coast to help you manage the makeover procedure. If you have been trying to sell your home and are not happy with the kind of prices being offered by the potential buyers, you should just step back and ponder what can be done to close the deal faster. Studies have indicated that home staging Perth or other local professionals conduct is one of the best solutions. There was also a research done by the National Association of Realtors that indicated homes which were made up for inspection before sale with the placing of furniture sold faster than bare homes. Not only this, the report goes on to quote the feedback that in almost two-thirds of the cases, staged houses managed to fetch higher prices as well. It is not difficult to find the right source to help you out with the arrangements. There is a special feeling when people known to you walk into your living room and go gaga on your choice of furniture. You will probably feel elated that you picked the best out of the living room furniture package deals in Perth and not only saved some dollars, but also made sure everyone likes them. Furniture designs keep changing and modern ideas are incorporated and if your outlook also matches with those of the designer, then it’s a double benefit. The changes have come in the materials used in making the furniture also. Your living room furniture is the most difficult to maintain and the manufacturers do their own research and come up with better alternatives that can help in cleaning the furniture and in restoring their original brightness. While home staging Perth professionals conduct is a wonderful option for individual home sellers, the concept is being picked up by the building contractors also. There are the display homes where the builder showcases the property in the best possible manner to appeal to the buyers. But even for the other properties, the apartments for example, the builders enter into a tie-up for package deals furniture in Perth so that the apartments can be displayed during the physical inspection in a fully furnished condition. One reason property owners resort to home styling Perth wide is that they would develop a bonding with the place they have lived in for many years and would always want it to look perfect and beautiful. Even though they would have taken a decision to sell the property, they would want the buyers to view the place in the best condition and the firm will make this offer. It may cost a little, but the happiness in selling a house in its splendour and glory as experienced by you living inside it is allowed to linger on. The buyer may decide to move out certain pieces after he or she has completed the purchase and moved in. In the case of home staging Perth firms conduct, the initial objective is to see that the house looks complete and the potential buyers make a valued judgement and take the decision to buy. All the furniture items, the furnishings and other aspects that add to the appearance of the place are studied and changed according to the owners’ needs. For more details you can visit sites like http://furniturefitouts.com.au/hire-furniture-staging-styling/. How does optimized air conditioning feel like? Optimized air conditioning use means getting the maximum benefits from a stable energy cost. In a hot, summer day, you may get worried that your air conditioner is consuming more energy. To prevent this from happening, you can do it the DIY way or you contact a professional to help you. Doors and windows should be closed at all times if you’re using your A/C. A common misconception is that cooled air can escape the room. The truth is when warm air from outside enters a room, the air conditioner works harder to cool that air. A ceiling fan doesn’t necessarily cool down a room’s temperature; it cools the occupants in the room, though. It also helps in moving the cooled air around. Doing this doesn’t overwork the air conditioner because the occupants are already comfortable. You just painted your bare wall with an attractive color—but one thing’s protruding like a sore thumb. It’s your return air vent. No matter how much you want to hide it to preserve the view, don’t get tempted. They need to be kept unblocked and vacuumed regularly. Keep window treatments, furniture, or your children’s toys from blocking it. Doing this helps maintain a good airflow from your HVAC system. The Consumer Energy Center advises homeowners to clean their air conditioner filters to reduce about 1-2 percent of their energy cost. According to James L. Kittle in Home Heating and Air Conditioning Systems, the air filter prevents dust and grime from entering the air conditioner coil. These fins or filters are pressed on the refrigerant tubes. You could also replace it if it’s too old. This is the cheapest and most effective way of optimizing your air condition use. You can get a Moncriefair air conditioner replacement in Atlanta GA if your A/C brand is Carrier. A Moncriefair air conditioner replacement is a Carrier Factory Authorized Dealer. They service Carrier A/Cs. Well-performing filters are especially helpful during summer where allergens usually circulate. Also, clogged filters mean your A/C needs to work harder to provide a steady amount of cool air. The best air conditioning installation Atlanta GA has these days are done by licensed LEED-certified mechanical engineers. Entrusting your A/C to these Moncrief Heating & Air Conditioning professionals once or twice a year for service will help you sleep better at night. Literally. Getting a service plan will also help you get more benefits in service. Service calls may be free and they may not charge for labor. The air conditioning Atlanta dealers install will give you long-term benefits if you get a service plan. An efficient air conditioning Atlanta has these days mean maximum efficiency without the unnecessary costly energy bills. For more details, please visit http://www.moncriefair.com/. A lot of the resources and articles in the market about new home acquisition are focused on buying an existing home. However, building a new home is far more challenging because there are several difficulties that you stand to face. This is why those who are considering building a home from scratch must find a notable builder in Perth such as Redink Homes. The expertise of an experienced builder will help you navigate the process of designing the layout and building the home go smoothly. • Know your builder. This is the single most important part about building your home from scratch. You need to work with a builder that you trust such as Redink Homes. There are plenty of choices for new home builders Perth can offer but the number of years in the industry is not the only factor you should be looking for. Always check the actual work of the builder to assess if they are the right fit for your needs. • Check the type of community. When new home buyers think about investing in a new property, they often look at the house itself, or their future dream home. But the community where the house is located in is just as important. Before you make that investment to build a house on a specific community, you have to think about your long-term life plans. Will it be suitable for your daily commute to and from work? Is this the kind of neighborhood that you want to raise your future family in? Will it be a safe neighborhood? • Invest on location and square footage. If you are buying a piece of land to build your future house on, make sure that you focus on the square footage and the location of the land. These are practical considerations that will impact your quality of life in the future. You can always upgrade later but with the budget that you have now, always choose to invest in a piece of land with adequate square footage rather than on the accents for your home. • Know your floor plan. The floor plan is another important aspect in building a new home. The right floor plan can make even a small floor area look spacious. If possible, consult with a builder or have them plan your layout for you. It is always important to get an insight from the professionals about how to design your home according to your needs. In addition, consider your long-term plans of living within the home when developing a floor plan. For example, if you are designing your home as a newlywed, you should consider building a home that would suit a family of 4 or 5 in the future. Building a home is a huge step. Hence, finding reliable new home builders Perth WA has like Redink Homes is a good step to ensure that you can transform the layout into a comfortable living space. You can learn more about their services or have an initial consultation on their website at https://www.redinkhomes.com.au. Spring is one of the best times to work on your landscape since the weather is ideal to nurture your plants. Summer can often be too harsh on your green landscape while winter could cause damage to your outdoor plants. Hence, it is important to know your spring maintenance routine for your landscape to restore its beauty. You can choose to hire professional services for landscaping St Kilda has to offer. But if you take your own measures to care for your landscape during spring time, you can save a lot of money in the long run. Plus, you can keep your landscape looking its best. During fall and winter, mulch is often placed onto your landscape to facilitate in giving it protection from the elements. If you want to encourage the growth of your plants, you need to move the mulch away from the growing plants. If you do that, you allow the plants to breathe and grow. It is also recommended that you add new mulch at the plant’s base. This will offer two benefits to your plants: 1) it will suppress the growth of weeds, and 2) it will facilitate the growth of the plants. If possible, try to use organic mulch such as shredded bark or compost. This will boost the nutrient level of the soil and also strengthen its structure. One of the tricks recommended by experts for landscaping St Kilda has today is to feed your plants during spring. Choose a slow release plant food in order to facilitate growth. If you can find a plant food that has insecticide too, make sure you choose that one, especially if your plant has had insect problems in the past. Another recommended step for maintenance of landscaping in St Kilda by experts is to add fertilizer to your landscape (especially if it is less than 5 years old). This will guarantee optimum growth for your plants and also keep the entire landscaped area looking healthy. The newly planted shrubs and perennials will get the most benefit from the added nutrients. This will enable the shrubs and perennials to penetrate into the soil and stay healthy. When using fertilizer on the landscaped lawn and plants, make sure to read the directions thoroughly. It is important that you apply the right amount at the ideal time. If you put fertilizer at the wrong time of the year (or you put too much of it), it can cause damage to your plants. Spring is also the best time to work with St Kilda landscaping to groom your plants and lawn. If you have a large lawn, it makes sense to hire a professional to mow the lawn and keep it looking pristine. During the winter, your lawn is unattended and it can result in weed growth or uneven growth in the shrubs. These should be cut down to keep the landscape looking pristine. 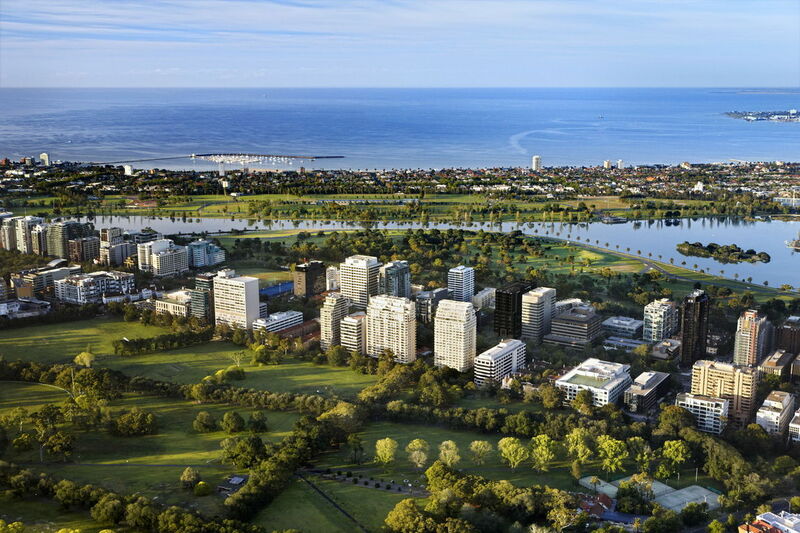 Are you looking for services that offer the best landscaping St Kilda has to offer? You can visit http://www.desiredeffect.net.au/landscaping-st-kilda/ to learn more about what services they can give to enhance the look of your outdoor space at home. Finding a good home builder to make your dream home can be quite a daunting task. Coupled with the increased number of Perth home builders today, separating the grains from the chaff can be challenging. Note that not all home builders deliver what they promise. This is why you need to undertake a cautious search before settling on one. Depending on your preferred style, location and budget, consider the following essential tips on how to find the perfect builder for your dream home. Increased internet access has really made the world a global market. In a bid to increase their marketing strategies, various builders in Perth WA have developed websites. From their sites, you can deduce nearly all the information you need about the expert. You can also search websites that rank reliable builders in your location. Home building is like any other physical, professional job. For utmost quality, experience in handling similar projects is paramount. A builder with several years of experience raises no doubt in the quality of homes he can build. Besides, experience comes with a reputation. A nicely reputed person signals extensive experience and ascertains quality. Always have such experts are a priority. Home builders Perth ought to be licensed, permitted and insured when handling any project. Whereas these are not the primary determinants of quality, it is a requirement by the law as well as guarantees ability. Licensing is vitally important as it assures that the expert is a trained professional. Permits indicate that the individual is rightfully allowed by the relevant authorities to operate within your location. Insurance, on the other hand, provides cover in case of injuries or damages that may accidentally arise. Warranties are essential for any large investment. That said, make a point of discussing with the potential home builders in Perth WA the type of guarantee and warranties offers on their constructions. Most experts split their warranties into two parts. The first part that lasts a couple of years covers majority, if not all of the inclusions of your home. The second part involves the structural components such as roofs and foundations. This part usually lasts for 10 years or more. References come in handy beyond testimonials gathered from the builders’ website. Asking around for references provides first-hand information on how the builder works and relates to the customer. Gathering this information is the best way to anticipate the probable experience with Perth home builders. A good way to find out this is by asking real estate agents for recommendations. They offer invaluable information. Green features are becoming a necessity in modern homes. However, not all Perth home builders have the necessary experience to install such features and create homes with such visions. This is why you should bring up this option when vetting for the perfect expert. There are no guarantees when it comes to finding the best builders. However, try your chance of finding the perfect builder by looking at the factors mentioned above. Perhaps, you can consider http://www.aveling-homes.com.au/ and explore the vast experience they offer. Have you recently browsed home and living magazines online and felt inspired to redo your laundry area? Your laundry room may already look outdated and you may want to give it a fresh look. Or you might want to move your laundry room to a different area that has more space. Companies like CMD plumbing services have experts who can help you decide on the best spot to relocate your laundry room. They also provide suggestions on how you can achieve the look of your laundry room and bathroom that is worth pinning on Pinterest. However, there are things you need to consider before you contact plumbing experts like CMD Plumbing services to redo your laundry area. Safety – If you want to go ahead and relocate your laundry room to a different area in your house, always consider safety as a priority. Always opt for braided steel washer hoses as they won’t split open, unlike rubber ones. Make sure that your metal dryer vent pipe is sealed with foil tape instead of plastic flex hoses as those are considered fire hazards. Having an automatic shut off valve that immediately cuts water once a leak is detected is also a wise addition to your laundry room. Proximity to a water source – When you relocate your laundry room or bathroom, make sure that you have access to a water source. Or else, you may need to contact experts like CMD Plumbing services for a water source to be accessible. It would also be best if you have a utility sink added to make washing delicate items easier. Proper Ventilation – Make sure that there is ample ventilation when you relocate your washer to a different area. You can have a self-closing exhaust vent installed to keep the indoor air get into your home when the dryer is turned off. A bathroom-type vent fan on the ceiling is also a good idea to keep moisture from building up. Humidity is unavoidable especially if the washer is running all day and this can lead to mold growth. If you want to know what type of vent is best for your laundry area, talk to experts in laundry renovations Melbourne has today to give you better suggestions. Enough Storage Space – Make sure that your new laundry area will have enough space to store all your laundry items, like detergent, bleach, fabric softeners and other tools. This is especially important when your laundry area have limited space. You can make use of the wall to mount cabinets and floating shelves. Proper drain placement – It’s not enough that you have access to a water supply. You also need to ensure that drainage is available. This is applicable not only to laundry areas but also to bathrooms as well. Before doing any makeover or reinstalling your washer and dryer, check the slope of the floor. If you also want to redo your bathroom after successfully giving your laundry room a makeover, you can talk to a bathroom renovation company Melbourne has today for a more professional finish. Although going DIY is a cheaper alternative, it might cost you more in the long run especially if you have no prior experience. You can ask for bathroom renovation quotes Melbourne builders offer and compare their prices for you to have a much better deal. No matter how hard you try, efforts in keeping your carpet clean are not enough. There will still be spills, accidents will happen, food will get dropped and whatever you brought in from the outside sticking on your shoe is bound to show up on the carpet, too. Carpet cleaning gets done not only for aesthetic purposes, but for health ones as well. Professional carpet cleaners Adelaide has now remove dirt, stains and allergens. They make your carpet last longer than poorly maintained ones by being gentle on your carpet yet tough on dirt. With the ideal minimum of 12-18 months in between carpet clean-ups, depending on the traffic in your home, it is best to hire expert carpet cleaners Adelaide offers. It’s not just visible surface dirt you have to worry about. Only pros can remove trapped pollutants in the carpet, prevent mold growth and prevent dust mite infestation. The big hassle when it comes to getting carpets cleaned is the long wait before anyone can walk on it. Gone are those days because now, you can walk on your carpet after 1-2 hours of thorough cleaning. Experienced carpet cleaning Adelaide technicians finish everything the same day: pre-vacuuming, deodorizing, professionally cleaning with the finest equipment. They do this without steam, shampoo and toxic chemicals. Multi-awarded cleaning specialists use a carbonated extraction system using less water unlike steam cleaning. This is the approved method of the Carpet & Rug Institute. Likewise, dust mite treatment for those with asthma, also gets applied during an ideal carpet clean up. – DIY carpet cleaning equipment are available and that may seem a blessing. However, these machines do not heat the water enough to make the cleaning process a thorough one. – DIY carpet cleaners aren’t even that powerful. Your efforts of removing a year to a year and a half year’s worth of dirt and allergens are futile. – DIY carpet cleaning might look easy, but it’s not. – Likewise, it’ll take you forever while waiting for your carpet to dry. Some equipment can leave moisture that’ll take a day to disappear. Wet carpet is a sign that the equipment isn’t powerful enough. This won’t be a problem with reputable carpet cleaners Adelaide has to offer. – The amount of cleaner that needs to get used and the technique in using a good carpet cleaning equipment need experience for best results. – Retail carpet cleaners, lacking sanitizing systems, cannot kill bacteria and the dust mites in your carpet. – With a once a year clean-up, a lot can go wrong. Remember, you still have a floor underneath to consider. – Carpets are different. Wool or synthetic carpets need different clean-up methods. If you want to become a successful property manager, you need to undergo property management training. This is a crucial step that will equip you with the knowledge and skills you need to know to excel in this field. There is more to this job than simply filling out vacancies and making sure that properties are in tip top condition. Your responsibilities also include making sure that your tenants are happy and the contractors are delivering the job based on expectation. In New Zealand, the real estate industry is one of the top industries that support the economy. Hence, there are plenty of opportunities here for those who would like to excel in this field. But it also means you have plenty of competition. This is one of the most important qualities you will learn during property management training. This profession requires you to interact with people on a daily basis. You need to communicate with them, understand their issues, and build relationships with them. As a property manager, you should be looked at as a person of respect and authority. The best property managers possess these skills and know how to satisfy clients and make them happy. A successful property manager knows that the industry is stiff with the competition. In order to outdo the competition, you must be diligent enough to study what they are doing and how you can do better than them. You can use your competition as a gauge on ways you can improve your service. In your property management training, you will learn about what to look for in your competition and how you can use the information to your advantage. A successful property manager must also be a good leader. You will not be working alone but rather will be working with a team. Hence, your ability to lead a team is crucial to your success, individually and as a team. It is your responsibility to make sure that every member of the team is doing their job. You need to also instill the same attitude and values for work that you possess in them. Another secret to becoming successful in the field of property management is to know how to network. You cannot succeed in this industry on your own. You should network with like-minded professionals by joining associations within your industry. You must build connections locally and online to learn from them and unlock professional opportunities. While the NZ property management training you undergo is focused on teaching you the basic qualities and knowledge you need to succeed, you must also be open to using technology to your advantage. By learning how to utilize technology to your advantage, you can perform routine tasks with ease and get more done in less time. Once you volunteer abroad as a teacher or a medical professional or in any other area, you get a chance to explore global environments in an exceptional way. If all people were to wait until they get enough money to go and explore the world, some would never get out of their own country. However, being a volunteer in Fiji helps you to impact lives of others as you get immersed in foreign cultures. Your life will be changed as you change the lives of others. Everyone has certain sets of transferable skills, but most people don’t know how they can boost them. Such skills include communication, teamwork, and confidence. They are transferable skills because you can learn them and help others acquire them the same way you acquired them. A volunteer can also transfer these skills to make it a high-quality resume. Competition for jobs has really become fiercer and only the one who stands out among the qualified ones is lucky. Any passionate volunteer Fiji has today enjoys cultural exchange and international travel that increase applicant’s chances of a good and competitive job. Finding your best friend for life or a great travel buddy is possible with the Involvement Volunteers International programs. A good thing will always find you when doing something good. When you are busy changing the lives of others for no pay, you connect with lifetime friends who will also change your life in a great way for free. The friends you connect with during your volunteering program stand with you in your lows and highs, and this is how your friendship grows stronger. Once you volunteer in places like Fiji, you are able to discover what happiness is and what it’s based on. You also get a good opportunity to appreciate your homeland and everything else you ever despised there. If you had time to talk to a volunteer in Philippines or in Fiji, you would realize that volunteering helps you know you are the difference the world ever needed and that your role as a volunteer would remain in the hearts of many people for many years. What you are looking for help to someone else in need may never be or come by. You are what they need. With this understanding, you won’t sit back and relax when someone else somewhere needs what you find inadequate. Through various Involvement Volunteers International programs, you can skip the upcoming surfing holiday and go to Fiji or Philippines or any other country to impact lives of the less fortunate.